Approximately 80% of them believe email marketing can be considered as an extremely effective strategy. There are some strategies that the marketers of New Zealand must follow to maximise the numbers of customers or subscribers. 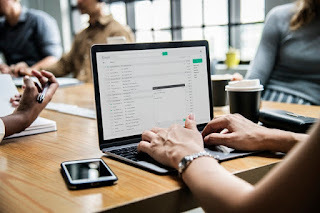 Other than that, email marketing help educate the subscribers about an organisation and their products, services and build relationship with potential buyers. It is very important for the marketers to develop an appropriate email list for the campaign. In order to create a good New Zealand email list, the marketers need good services. It is very important for the marketers to select the right email marketing service for their business to make the process easier. At the beginning, you can develop a list of registered users and then you can try to grow the number of subscribers by adding email submission pop-ups or forms on the website. The subject lines of emails need to be appropriate as they are the only part that many people read. In most of the cases, the subject lines determine whether the subscribers will open the emails or not. It is really important to include the first names of subscribers in the subject lines. A survey has revealed the fact that subject lines which feature first names have 26% higher open rate. It is also very important to shorten the length of the subject lines. Many people open their emails on mobile phones and iPhones can display only 35 to 38 characters. Therefore, the marketers of New Zealand need to create the subject lines in the range 17 to 24 character and the subject lines should be 3 to 5 words long. If the marketers of New Zealand feel confused about two different ideas for a subject lines, they can make a comparison of their performance. With the help of A/B testing, one can start to experiment with the subject lines. The marketers can keep each and everything about the two different emails same except for the subject lines and then they can observe which one receives more open rates. Thus, they will come to know which subject line is the best for the buyers. It is very important for the marketers to send emails consistently to their subscribers. You need to convey messages on weekly or monthly basis. A survey has been conducted recently and 15% people has revealed the fact that they would like to receive promotional emails daily. Consistency of the emails also help develop positive relationship with the subscribers. The marketers can ask their subscribers how often they prefer to get emails from them to understand their level of involvement. The marketers must write engaging emails to motivate the subscribe to purchase their products or services. The contents need to be really insightful and valuable, which people would like to read. You need to write interesting contents and you can add humour to those emails as well. The emails must not be lengthy as we humans now have shorter attention span than a goldfish. Many people do not have enough amount of time to read lengthy emails as well. Therefore, the New Zealand marketers need to create short, concise and entertaining contents for the subscribers. You need to be innovative or creative to stay ahead of the competition in the market. Innovative ideas can increase the readability of your emails significantly. You can ask the registered users their opinions to make the emails more interesting.